Urban Realty is a commercial real estate company which focuses on serving the real estate needs of the Denver business community. Our extensive knowledge and experience in sales, acquisition, leasing, and related lease analysis allows us to uniquely customize our services to meet our client’s business objectives. 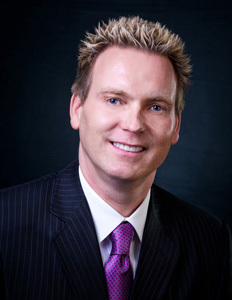 Jorgen U. Christiansen has more than 16 years of experiences in the Denver commercial real estate market and is a licensed real estate broker both in Colorado and California. Jorgen believes client relationships are built on integrity and solid commitment to his clients. Combining his creativity, forward-thinking skills, extensive knowledge in contract negotiations, income capitalization approach, discounted cash flow analysis, project management, construction budget and tenant build-out, has resulted in a proven track record of successfully assisting his clients in addressing their most difficult issues and challenges. Licensed Real Estate Broker in Colorado and California. Board Member of the Colorado Grand, which is a non-profit charitable organization, that generates over $550,000 annually for small Colorado Charities and Western Slopes towns as well as college scholarships. Cumulative donations since 1989 total over $4.5 million. Learn more about our Real Estate Services or read our Testimonials. If you are looking for commercial real estate property in or around Denver, Colorado, please contact Urban Realty today to have your questions answered.